Stuffed burgers seem to be all the rage these days, and after my last try with the Goat Stuffed Indian Burger, I just had to experiment again! 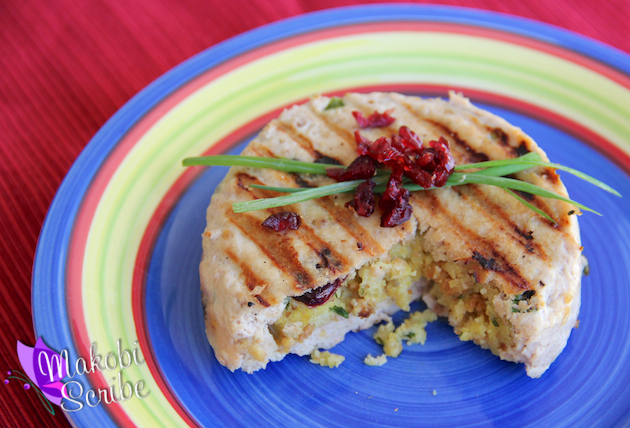 To get started, Gold’n Plump® provided me with Ground Chicken to create this Stuffed Chicken Burger recipe. The Gold’n Plump brand was established shortly after I was born in 1978 and is distributed nationally by St. Cloud, MN-based GNP Company, a family-owned provider of premium chicken products since 1926. The brand’s mission centers on being truly all-natural, highly trimmed and free of unwanted solution, skin and parts. I mean, who wants to buy unwanted chicken parts? Not me! You can find the brand at most Target stores, and they carry a variety of products from whole chickens that can be cooked in the bag to chicken sausage and everything in between. You can find more about the brand here or on their social media channels at Facebook, Twitter, and Pinterest. Stuffed burgers are easy to make. You basically put what you would want outside of your burger on the inside! Your imagination is the only limit. I use a burger stuffing tool, but you can do it by hand as well. I modeled by burger after the upcoming holidays. I had a hankering for what was to come, but do not like all the fattening trimmings that usually come along with it. This all-in-one burger solution was right up my alley! Make sure you seal all of the edges so no stuffing spills out. Good post. 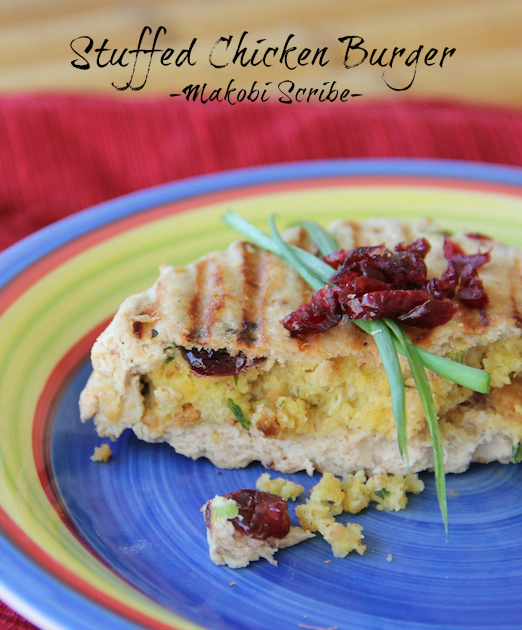 Thanks for sharing this recipe for stuffed chicken burgers. This looks so great!!! YUM!!! Thanks for sharing! I love this, and I wonder, between the chicken and the stuffing, is it dry at all? That is always my issue with chicken burgers! Looks very interesting and healthier then a regular burger. Thanks for sharing!